Take US 20 west of Fremont 5/10 miles from the by-pass. Turn north (right) on CR 128 and go 4-1/10 miles. It is on the east side of the road. Easily entered. There is a sign. Good condition. 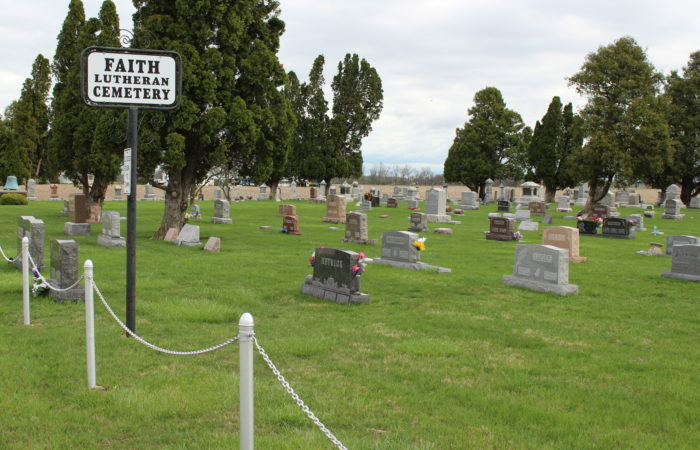 It is maintained by Faith Lutheran Church. 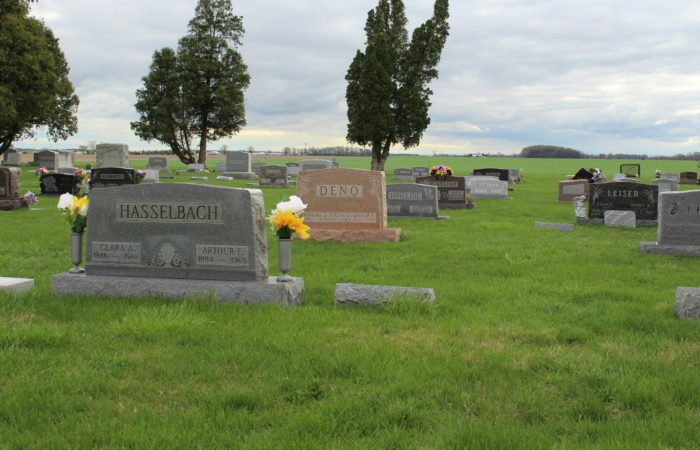 In 1870 Peter Hetrick sold 1/7 acre of land to the trustees of the Lutheran Congregation of Big Mud Creek. In 1875 he sold them an additional 3/4 acre. In 1901 H. M. Hetrick sold another acre to the church. 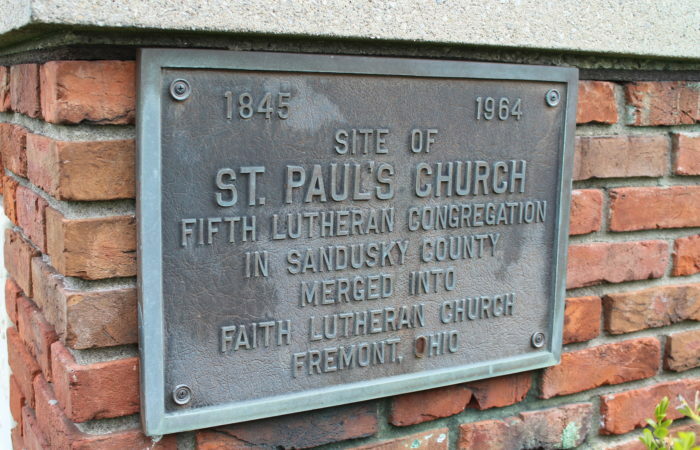 In 1963 the Salem Lutheran Church of Sandusky Township and the St. Paul Lutheran Church of Rice Township joined to form the Faith Evangelical Lutheran Church. All properties were combined and owned under the new congregation. 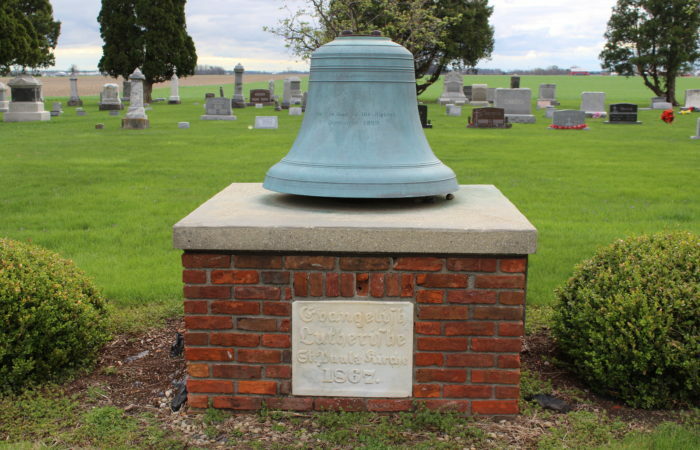 Early burials include William Siegenthaler-1874, George Siegenthaler-1875, Lucy Engler-1876, Franklin Auxter, George Billow, Mary Garner, and Jesse Hetrick in 1877.